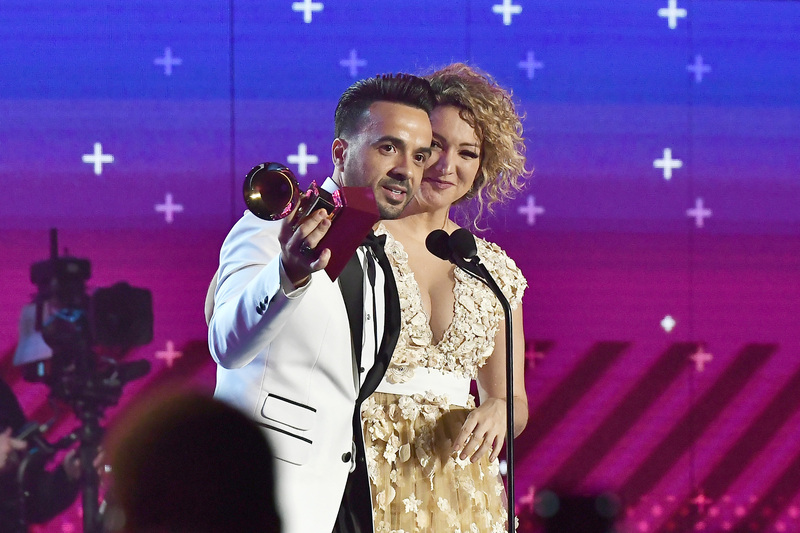 The winners of the 18th Annual Latin GRAMMY Awards® were announced tonight during a live broadcast from the MGM Grand Garden Arena in Las Vegas. The three-hour special aired on the Univision Network, and was hosted by Jaime Camil and Roselyn Sánchez. The Biggest Night in Latin Music® was the culmination of a festive week of spectacular, sold-out events that brought together the most talented musicians, performers and dancers from the world of Latin music. From private parties and star-studded red carpets to the glamorous stages with incredible performers playing to packed houses, the best of the best came together for an inspirational, joy-filled celebration that helped our communities begin healing after recent national disasters. Throughout the week, guests were treated to the inaugural Leading Ladies of Entertainment Luncheon honoring women who have excelled in the arts and sciences, and made indelible impressions and contributions to the Latin entertainment industry. The homages continued as eight music legends were honored with Lifetime Achievement Awards and Trustees Awards. The highly anticipated 2017 Latin Recording Academy Person of the Year™ ceremony honored 18-time Latin GRAMMY and three-time GRAMMY winner Alejandro Sanz for his artistry and substantial philanthropic contributions. Luis Fonsi closed the show with “Despacito,” accompanied by Víctor Manuelle, Bomba Estéreo, and Diplo. Exclusive behind-the-scenes coverage of the 18th Annual Latin GRAMMY Awards was available via Facebook Live. 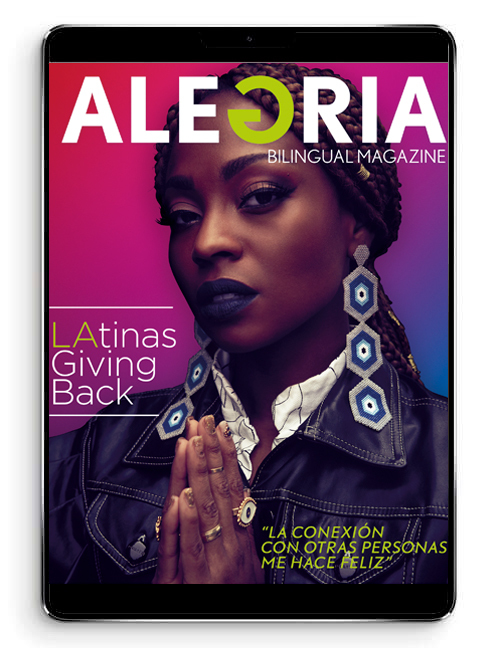 The live stream included interviews from various locations, including the red carpet, Latin GRAMMY Premiere® ceremony, backstage, and the media center. The 18th Annual Latin GRAMMY Awards were supported by Univision’s multiple platforms, which include digital, social and radio, and feature video interviews and photos, an extensive archive of past shows, a live blog, behind-the-scenes footage and dedicated forums for fans to share their excitement leading up to the live broadcast on www.latingrammy.com and www.univision.com/latingrammy. Univision Radio is the official Spanish-language radio network of the Latin GRAMMY Awards. The Latin GRAMMY Awards are voted on by The Latin Recording Academy®‘s international membership body of music makers, who represent all genres and creative disciplines, including recording artists, songwriters, producers, mixers, and engineers. The 2017 nominees were selected from nearly 10,000 submissions across 48 categories during the eligibility period (July 1, 2016 through May 31, 2017).